Laurie's Violin School: Off to the ASTA Conference in Salt Lake City! This week Robert and I are road-tripping to Salt Lake City for the American String Teachers Association (ASTA) convention. I'm looking forward to taking in some lectures and performances, meeting with colleagues, and also seeing the exhibition hall full of sheet music, teaching materials, instruments, gadgets for instruments and more. And of course, I'll be blogging all about it! 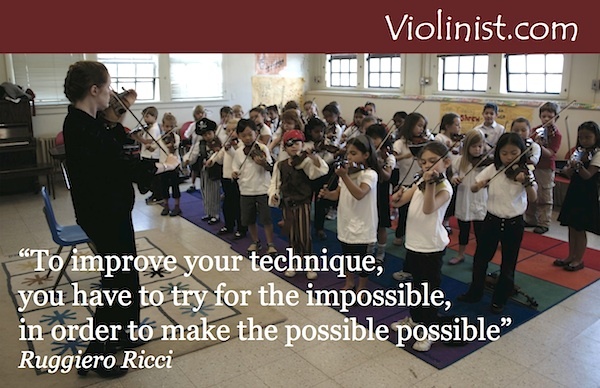 ASTA is an organization for string and orchestra teachers and players, founded more than 60 years ago. The annual convention provides an opportunity for members of the strings community to come together to promote excellence in teaching, to see what's new in string-related products, to find opportunities to collaborate and to devise ways to keep music education thriving. I'm happy that this year's convention takes place in Salt Lake City, which is home not only to the Utah Symphony and many thriving strings programs, but also to the Violin Making School of America (VMSA), founded by Peter Prier. The VMSA has had a hand in training some of the finest luthiers of today, including most of the top winners in the most recent Violin Society of America violin-making competition and many more. If you will be there, I hope to see you! I'll be the one scribbling notes and taking pictures. (I'll also have copies my book, Violinist.com Interviews, on hand, and I'll be happy to sell you one and sign it!) Robert (the technical half of Violinist.com) also will be there and available to talk about sponsorship opportunities. If you are at ASTA, please stop Robert or me to say hello and ask for one of our V.com postcards! Check later this week and weekend for our full coverage.